A COUPLE was arrested in Malaga last week for trying to smuggle a 13-year-old girl into Spain inside a suitcase. 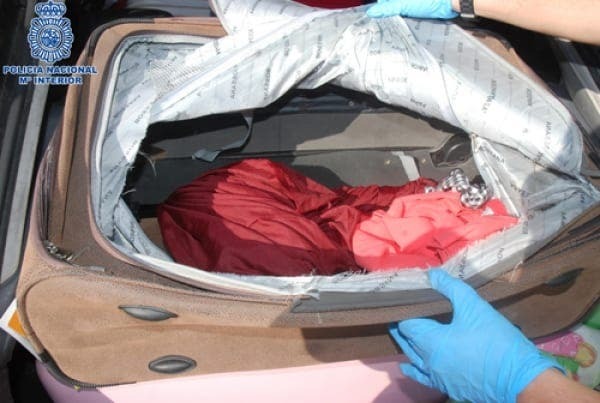 The Moroccan man and Spanish woman were stopped by police officials while entering the country from Melilla with a large, unusually heavy suitcase in their car. Upon opening the suitcase, the officers found the girl, distressed and disoriented. She is not a family member of either the man or the woman. She was reportedly treated by Red Cross officials at the port before being admitted to a hospital.